When I started working out I shared my struggle through a blog post. Two years later & here I am thankful that I went through that phase. Starting is always the hardest thing to do while struggling to stay consistent is another thing. But I believe one needs to experience both especially if you want progress. Thankful that I persisted despite the many moments I have asked myself–why am I doing this again? Here I am still going through my fitness journey enjoying being challenged not just physically but also mentally and emotionally. I never really thought working out can have this effect on me & I blame pilates for this. Heehee. It had lead me to be better and my wanting to be better has motivated me to just continue doing what I’m doing even if it seems far fetched or close to impossible. Looking back at when I started my fitness journey, I can say that pilates has greatly helped me in more ways than one. It has paved way for me to try other physical activities–I was able to climb a mountain, ran my first 10k, and do other kinds of workouts too. So you ask me, does pilates work? If you’ve seen me in class during the time I was starting, you’ve probably not seen a smile on my face! Hahaha. 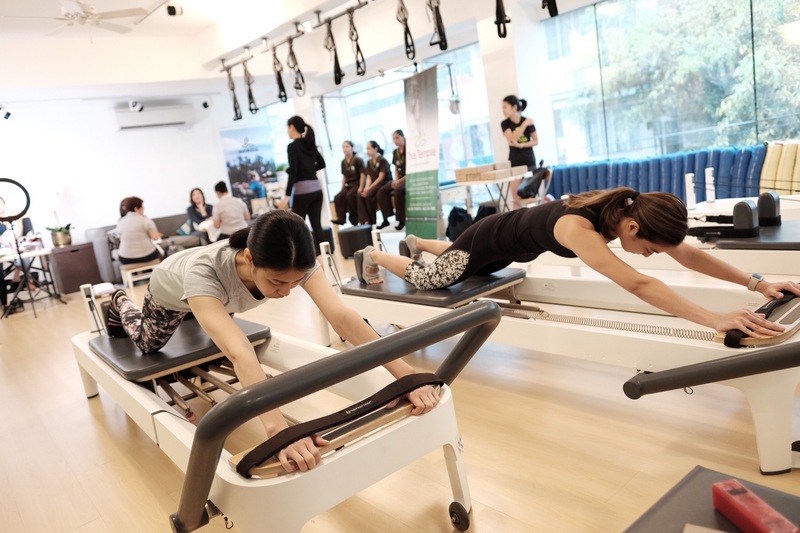 Here I was with Michelle Lim, a fellow pilates lover like me! Now with Cai & Michelle. Here we are taking a break from our session with Tanya, the woman behind Onelife Studio. Sharing with you all my story and how #PilatesWorks for me! Thank you so much Jackie for your inspiring story about doing Pilates.Honestly that’s a dream of mine to expirience & attend pilates classes.Hoping that “Onelife Studio” will try to look for a venue & put up a regular studio classes here at Angeles, Pampanga.There are lots of mommies here I know who needs this kind of exercises & interested to attend.For info just in case you will be the first one here in Pampanga area who will offer this kind of service.Thank you so much & more power & blessings!